If Hugo Hippo and Bella Bird are going to make it to their costume party, they simply must learn to agree! A bright and cheerful picture book about friendship and compromise. Hugo Hippo has a best bird. Bella Bird has a best hippo. They make a perfect pair, and they are going to the Fairy Tale Dress-Up party together, of course: Hugo will be the princess, and Bella will be the pea. No, wait: Bella will be the princess, and Hugo will be the pea….No, the first way. No, the second way. Wait, now, which way? If these two pals can’t agree on who will be the pea, their party plan will fall to pieces. But when a couple of surprise compromises lead to a new costume solution, Hugo and Bella learn that sometimes it feels better to make someone else happy than to get your own way—and that when it comes to friendship, they’re two peas in a pod. Hugo and Bella mirror real-life give-and-take: Hippos and birds have symbiotic relationships in nature! Ann Bonwill grew up in Maryland, surrounded by books. She started writing stories as soon as she could hold a crayon. 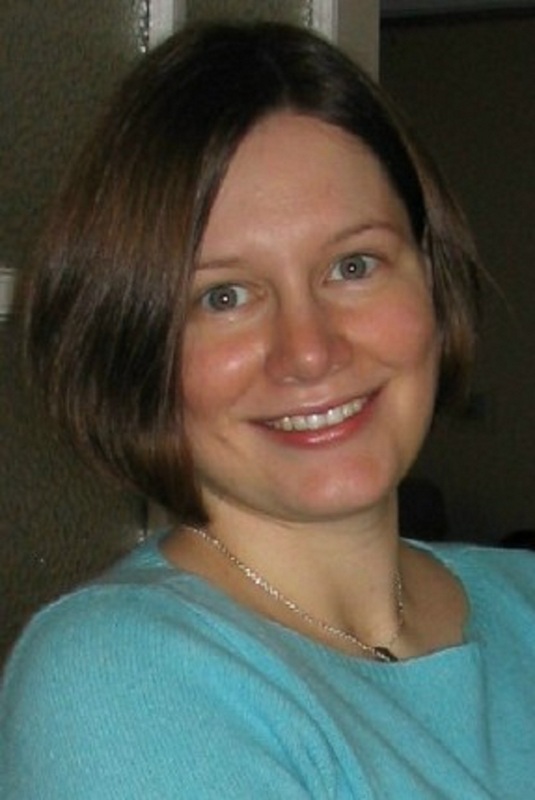 The author of I Don’t Want to Be a Pea and I Am Not a Copycat!, Ann has lived in many places, from Albuquerque, New Mexico, to Frankfurt, Germany. She now lives in Virginia with her husband, young son, and a crazy Welsh corgi dog named Arthur. "The spare design, a fetching combination of inky black lines and blankets of saturated color, perfectly reflects the comical nature of the friends’ opposing perspectives. Rickerty has fun with color—at one point Bella paints Hugo orange (to be Cinderella’s pumpkin), and the next spread is a cheerful mess of orange hippo tracks and white Bella tracks. The copyright page shows a photograph of a bird and hippo together, a natural phenomenon no doubt inspiring Hugo’s opening line “All hippos have birds, and Bella is mine.” A satisfying story of hippo-bird, bird-hippo friendship." I Don’t Want to Be a Pea! Hugo Hippo and Bella Bird may be symbiotic simpaticos, but the strong-willed duo can’t see eye to eye as the Hippo-Bird Fairy-Tale Fancy Dress Party approaches (they can’t even agree on the name of the event). Bella doesn’t want to be the pea in a joint Princess in the Pea costume, while Hugo has no interest in being the “gray and blobby” rock to Bella’s mermaid. Unable to come to terms, the pals harrumph to their separate quarters until a change of heart leads to a solution—and proves that they really are two peas in a pod. Bonwill (Naughty Toes) peppers her gentle friendship story with bits of knowing humor (“But you are gray and blobby,” Bella says of the rock costume. “I will ignore that comment,” Hugo replies), giving the proceedings some energetic flair. Different fonts distinguish the two speakers’ words, and Rickerty balances sweet and silly in his portraits, using simple shapes, forceful lines, and snazzy blocks of color to give the friends plenty of personality. Ages 2–6. 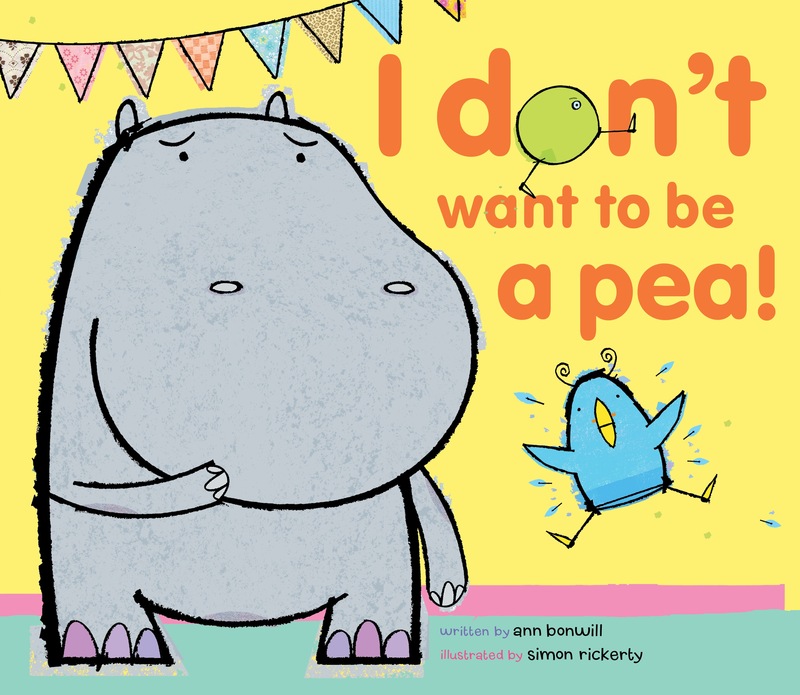 Book Cover Image (jpg): I Don't Want to Be a Pea!